Haley’s six older brothers are all high school drop-outs. She was at risk herself. She was having social troubles at school and was hanging out with the wrong crowd. Her self-esteem was really low. Haley’s Kars4Kids Big Sister, Sara, found her a more appropriate school, one that helped to bring out her talents. Sara took her out shopping for new clothes, which made her feel great about herself. They’ve grown very close to each other, and Haley really looks up to Sara as a Big Sister. Haley’s parents say they haven’t seen her this happy in two years. When we first met Eleanor, a beautiful girl from a dysfunctional family, she was emotionally unstable, suicidal and had been expelled from every school she’d attended. Spending a summer in our camp did wonders for Eleanor. She was accepted with unconditional love from our staff, and with her love of animals, especially horses, she was in dreamland. Eleanor considers her mentors her best friends and she loves getting together with them throughout the year at our cultural events. She comes back to camp every summer and confided to her mentors that our camp is the only place she feels safe. Adam is dyslexic. Understandably, school is not his favorite place to be. With both parents out of work and separated to boot, Adam doesn’t have many favorite places. Summer camp is a haven for Adam. With the emphasis off academics and on his unique talents, it’s his time to shine. His mentor lavishes him with personal attention and builds up his self-esteem. But what happens when the summer is over and Adam has to go home? With Kars4Kids’ ChillZone afterschool and extracurricular programs, Adam has a place to shine all year long. He comes on exciting trips and participates in weekend retreats and concerts. The fun of camp continues long after the summer ends. 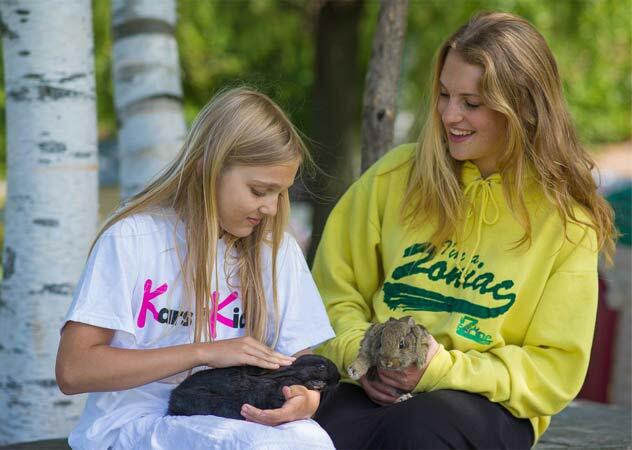 When ZC was a senior in high school, she joined Kars4Kids as a volunteer staff member in our summer camp. That first summer, in her position as a waitress, ZC's latent leadership potential was developed. The following year, ZC returned as a counselor and within a few summers, ZC was known as everyone's favorite head counselor. Last summer, ZC met her future husband, also a Kars4Kids volunteer! Today, ZC continues to be a leader as a middle school teacher. She teaches her students to give back to the community by giving them the chance to assemble Kars4Kids' holiday packages. The summer and afterschool hours present endless opportunities for developing life skills that are the foundation for a child’s future. 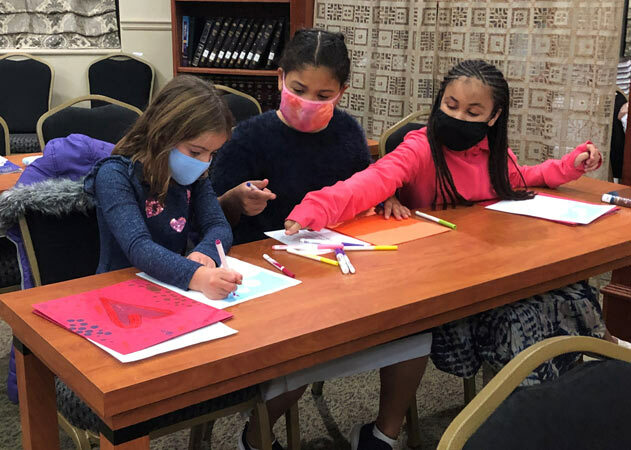 Drawing on the timeless wisdom of Judaic culture, our multifaceted year-round programs instill universal values, stimulate the development of interpersonal competencies and bring out latent talents, interests and strengths. I look up to him a lot because he always comes in with a positive attitude. Mentoring is the heart and soul of all our programs, and the underlying mission of all our staff and volunteers. Our mentors keep in close contact with their mentees, developing a relationship that lasts for years. Mentors often become friends of the family, becoming part of the mentee’s life throughout the year. If a mentor encounters a situation beyond his or her expertise, our experienced outreach counselors are available at any time for consultation and advice. We provide this precious asset for each of our children, and it is the key to their success. We have over 1,650 volunteer mentors in our network. I love it with a HUGE passion cuz the campers & staff make you feel so extremely happy. Summer camps have a positive impact on a child. Kars for Kids affords this opportunity to hundreds of children at TheZone’s two state-of-the-art campuses in the scenic Catskill Mountains. With an incredibly low camper-to-staff ratio, our volunteers are able to tailor their care to each child’s needs, fostering a warm, magical atmosphere every day. Stimulating workshops, an equestrian program and interaction with TheZone’s farm animals and nature program allow children to develop latent skills. 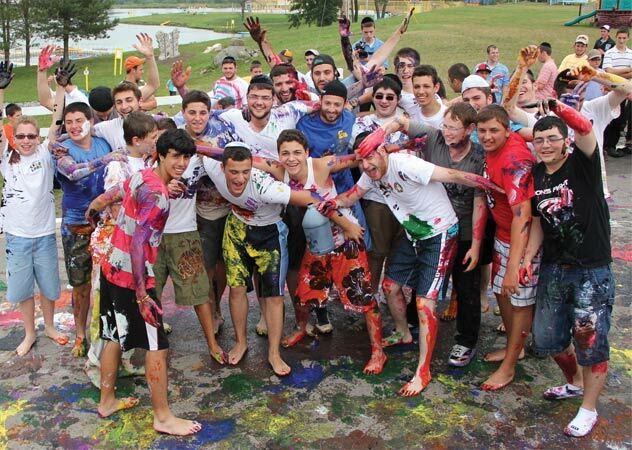 Traditional celebrations and cultural experiences introduce campers to their rich Jewish heritage. With its authentic flavor, Shabbat is the highlight of every week. Personal mentorship, fun activities, trips and resort amenities all combine for the perfect unforgettable summer camp experience. And the magic of camp continues throughout the year with frequent reunions and staff keeping in touch on a regular basis. Our camp kitchen churns out over 150,000 meals during one summer. It is the highlight of my daughter’s week. She also looks up to the group leaders who are such wonderful role models! With dozens of locations across North America, our ChillZone program draws hundreds of children every week. Unstructured afterschool hours can be a dangerous time for children who may become involved in risky activities, but we see these hours as an opportunity to give youth positive experiences. Our youth groups provide children and teens with a fun, safe environment to learn, bond and grow with friends. Warm mentors on staff create a comfortable environment where all feel welcomed. Pizza, prizes and fun, educational activities make these hours enjoyable, but it’s often the chance to just hang out with older mentors that keeps kids coming back week after week. The experience they have here is developing them to be giant leaders of the future. Today's youth are tomorrow's leaders. With proper guidance and direction, each one has the potential to change the world. Kars4Kids is training and inspiring a legion of dedicated teen volunteers who are the power supply of all our programs. With our experienced backup and support, these volunteers are honing their leadership and team-building skills as they develop into leaders in their communities.